I have been a fan of Canadian director Audrey Cummings since I caught her revisionist slasher film Berkshire County at the Bloody Mary Film Festival late last year. Her latest feature is a sci-fi thriller that heavily evokes a YA dystopia feel, not unlike The CW’s The 100 or The Maze Runner series. As the fish out of water protagonist, Eve (Santos) is the audience surrogate who helps to flesh out the mysterious world of Darken via her journeys. It’s a tried-and-true sci-fi plot that finds the outsider challenging the authoritarian rule in a strange land, though screenwriter RJ Lackie adds some personality to the world by naming and fleshing out its hierarchy from Disciples (sonar-enhanced guards who serve Clarity) to Keepers (religious monks who provide sanctuary at Haven) to the Arbiter (Orphan Black‘s Ari Millen, who serves as Clarity’s right-hand man) and Exiles (the band of resistance fighters that Eve falls in with). Darken‘s greatest asset is its clever and well-crafted set design. Cummings smartly stretches her budget thanks to Darken’s all interior, labyrinthine setting. While the look is a somewhat monotonous grey aesthetic, visual flourishes such as exposed pipes, retro furniture and neon graffiti accents help the film to straddle the divide between dour, grimy cyberpunk and modern distillery. Think of it as dystopian chic, complemented by antiquated clothing. If there is one issue with Darken, it is its threadbare narrative and slow pacing. The middle section, when allies and enemies converse and betray each other, feels particularly saggy . It has the unfortunate effect of makeing the 82 run time feel much longer. Despite this, strong performances from winsome Santos and conflicted Millen help to ensure that the film remains watchable. Horne fares less well as the maniacal villain, proving too restrained to be memorable and too flat to be truly evil. Supporting characters, including Lost Girl‘s Paul Amos, are decent, though somewhat forgettable. 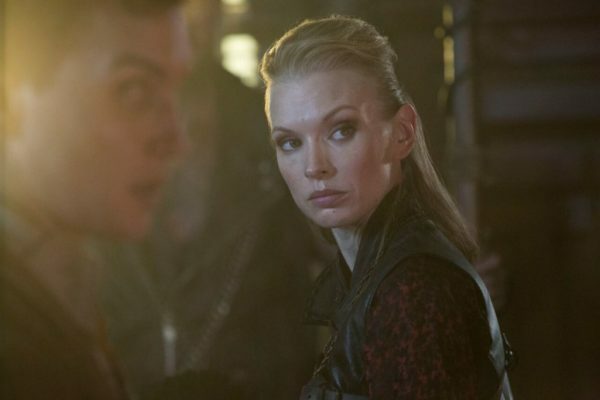 Cummings’ direction is confident and she handles the intimate conversations as easily as the occasional action sequence. Ultimately the mysteries of what and how Darken came to be are worth the investment, particularly the visual aesthetic crafted by the production team. The Bottom Line: Darken is a compelling new entry in the sci-fi genre and it marks Cummings as a director to keep an eye on. 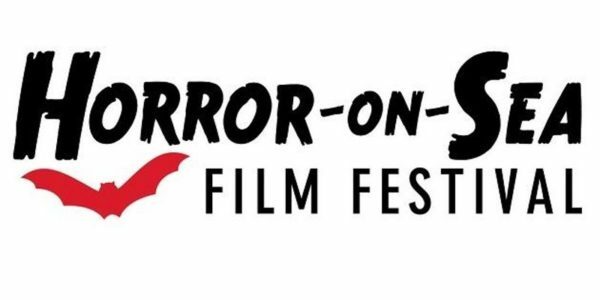 For the complete Horror-on-Sea schedule, as well as ticket information, click here.